One of the most surprising things about the Apollo 11 guidance computer source code isn’t just the sheer size of it, but rather the amount of in-jokes that scientists included with it. 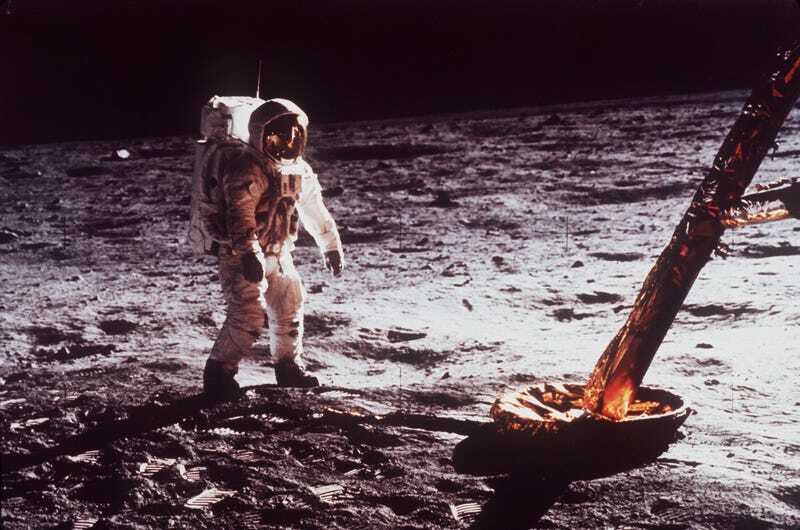 While the code for the command and lunar modules has been available online since 2003 (tech researcher Ron Burkey transcribed every line of code by hand from the original transcripts), the code was put up on GitHub this week. Former NASA intern Chris Garry uploaded the files on Thursday and it has become a popular place for coders and space buffs to joke along with the scientists from the 1960s. The jokes aren’t just for programmers either. One that immediately stood out was BURN_BABY_BURN—MASTER_IGNITION_ROUTINE.s, which contains some handy reference notes. Other highlights include the file PINBALL_GAME_BUTTONS_AND_LIGHTS.s, which is for the keyboard and display system, and the comment for TRASHY LITTLE SUBROUTINES in LUNAR_LANDING_GUIDANCE_EQUATIONS.s. As you can see, the source code was written in what looks like Assembly. NASA created its own version of assembly, which is a wonderfully esoteric and low-level programming language. This would explain why there are so many pages of the code and why director of software engineering Margaret Hamilton looks like she’s going to fall over in that famous photo. Of course, it wouldn’t be the Internet without some users trying to get in on the fun and suggesting some additions. One potential extra file is MATTDAMON.s so that we can save that poor man from Mars.